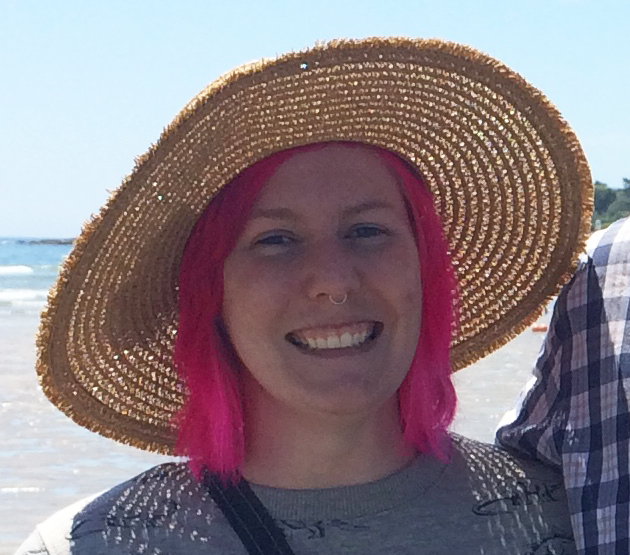 After leaving my receptionist position, I signed on with a Temp Agency. It was an accident, really. I thought I was applying for a part-time admin job, but because it was through the Temp Agency I had additional paperwork to complete. Turns out I was NOT qualified for the original position (maybe if you need someone proficient in Quick Books, you should SAY Quick Books knowledge preferred/required/a must. Or even mention it. Just an idea). Anyway, I signed on for admin and office work, watched a safety video for admin and office work, took a safety quiz for admin and office work, and said it was totally ok for the sister office in another town to contact me if they had any openings. About a week later, the sister office called. Turns out I would’ve had to watch a second video pertaining to factory work, take a second quiz pertaining to factory work, and fill out payroll paperwork and health forms that were skipped before. It didn’t pan out and we decided to stick with admin and office work temp work in the future. After a couple more “not quite clerical but not exactly factory work” offers, I decided I was no longer in need of temporary employment and would focus solely on The Tragic Whale. 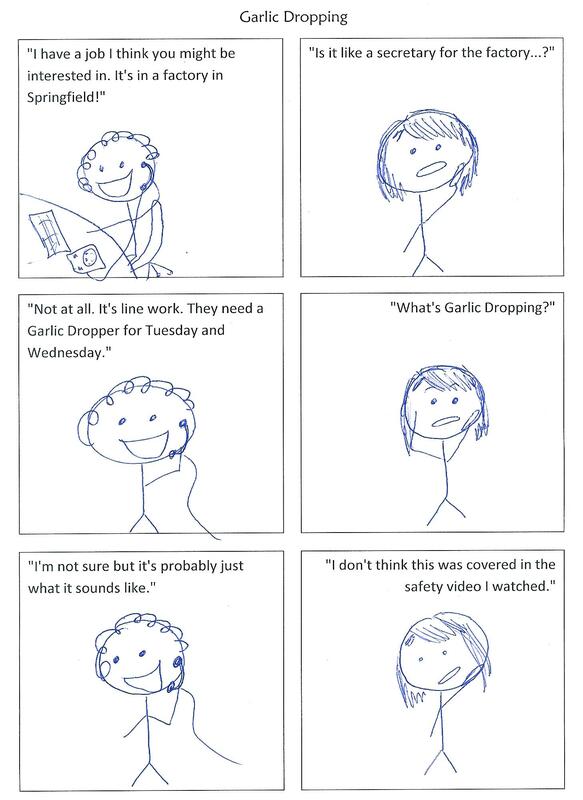 But I’m sure a multi-page comic on garlic dropping would have been pretty neat.